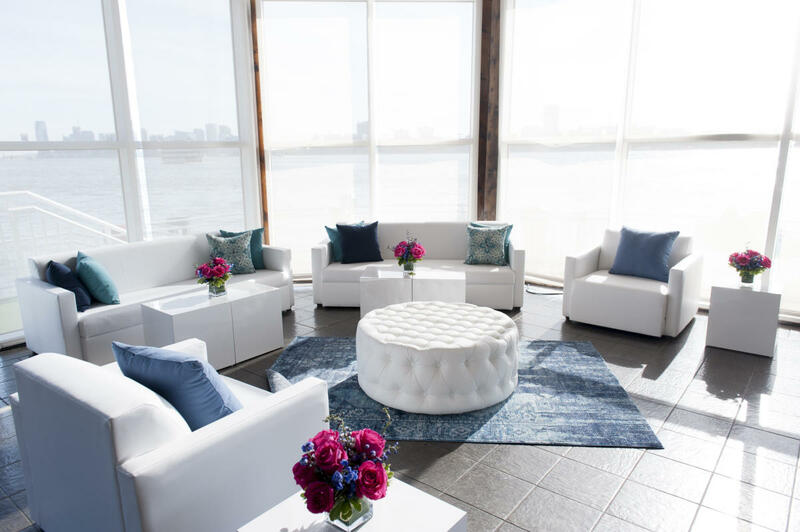 With the feel of a sophisticated New York loft space, The Lighthouse at Chelsea Piers is a stunning waterfront venue with sweeping views of the Hudson River, Statue of Liberty and New Jersey Skyline. Boasting 10,000 square feet of flexible event space, sleek hardwood floors and a year round enclosed terrace that can open to the river front on warm days. The Lighthouse provides automatic solar shades, high-speed WiFi, valet parking, shuttle service and two well-appointed suites for use as VIP office or greenrooms.